creation of the ASEAN Data Analytics ExChange (ADAX), a regional platform that brings together innovative talent and development models, and showcases the latest BDA technologies. 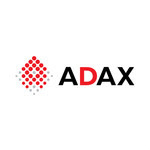 ADAX was established with the aim of helping Malaysia nurture and track the development of 20,000 data professionals by 2020 in tandem with the goal set by the government in 2015. Within a year, ADAX facilitated the development of 1,800 individuals from 298 companies across 19 industries as data practitioners, data managers and data leaders. IDC has recognised ADAX achievement which was attained through the collaboration of 19 training partners. The Center of Applied Data Science is one of the training partner.